Photo of: West of Ireland: Clare: Cliffs of Moher. An image of the Cliffs Of Moher on a very windy morning. The Cliffs of Moher are one of Ireland's top visitor attractions. They are 214m high at the highest point and range for 8 kilometres over the Atlantic Ocean on the western seaboard of County Clare. 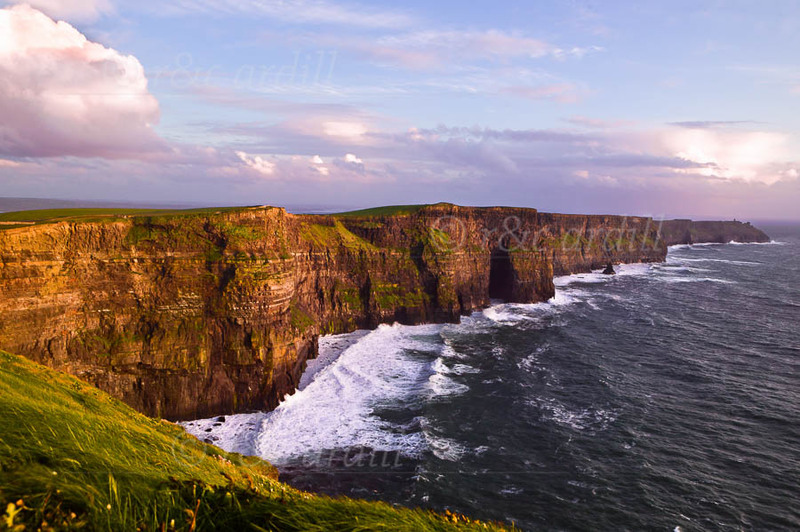 O'Brien's Tower stands proudly on a headland of the majestic Cliffs. From the Cliffs one can see the Aran Islands, Galway Bay, as well as The Twelve Pins, the Maum Turk Mountains in Connemara and Loop Head to the South.